CHICAGO (WLS) -- A man was fatally hit by a Blue Line train Wednesday afternoon in the Irving Park neighborhood. Police said the 28-year-old man was standing on the Addison station platform at 3622 West Addison when he jumped onto the tracks in front of the train. The Chicago Fire Department responded to a call for a person pinned underneath a train around noon. Police said he was pronounced dead at the scene. The Cook County medical examiner's office confirmed the fatality. As of 3:27 p.m., service on the Blue Line resumed with delays. Trains were not stopping at Addison. 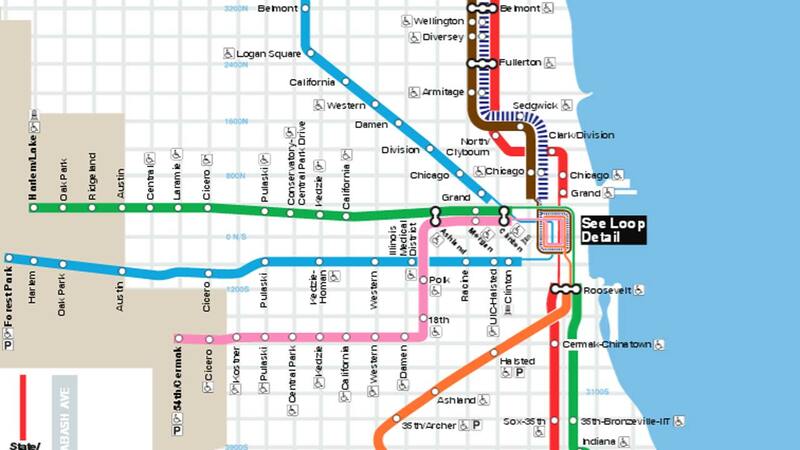 Some Blue Line trains are operating w/residual delays after an earlier medical emergency on the tracks at Addison. Service resuming. Blue Line trains are not stopping at Addison due to prior medical emergency on the tracks. Shuttle bus avail btwn Belmont to Irving Park. Blue Line service has been temporarily suspended between Montrose and Logan Square due to a medical emergency on the tracks. Blue Line trains are standing at Addison due to a medical emergency on the tracks; crews working to restore service. The Chicago Sun-Times Media Wire contributed to this report.